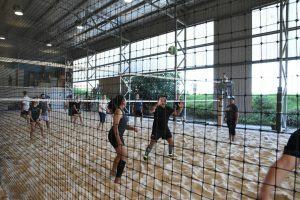 SU QLD Sport Ministry kicked off the year with its Indoor Volleyball Community Cup, which organiser Jeff Howard says was a huge success. “This event was the 8th Community Cup in a row that has been sold out weeks in advance,” Jeff says. The day marked the first SU QLD Sports Ministry event for the year, with more events set to run each term. “The Community Cups are all about bringing local community together with a faith community, where they can interact through a fun day of sport,” Jeff says. 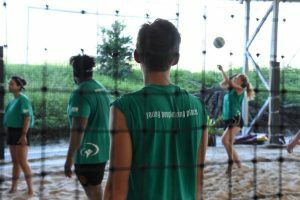 Jacob Schloss from Nexus Church said he really enjoyed playing volleyball in such a positive atmosphere. “It was a day full of fun, laughter and meeting new people – there was a really good vibe,” Jacob says.